Composed by Antonin Dvorak (1841-1904). Arranged by Doug Clyde. Romantic Period. Individual Part. 4 pages. Published by ALBEDO MUSIC (S0.36013). 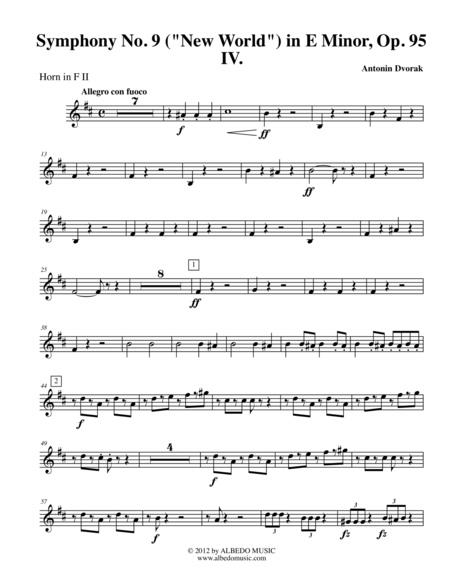 Transposed Part for Horn in F 2. Originally for 2nd Horn in E. Antonín Dvorak Symphony No. 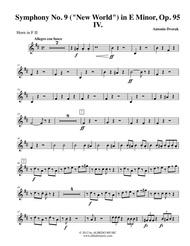 9 (New World) in E Minor, Movement IV- Allegro con fuoco. Rehearsal letters and measure numbers may or may not coordinate with other scores. © 2012 by ALBEDO MUSIC. .